What is CHIP? CHIP is short for Children’s Health Insurance Program (http://www.chipcoverspakids.com)Uninsured children in Pennsylvania who are not eligible for Medical Assistance have access to affordable health-care through this program. In order to quality for CHIP, children can not be covered under any other insurance plan. Children can qualify for CHIP regardless of the family’s income. Premiums and co-pays depend on income, but every child in Pennsylvania, 19 years of age and younger , can be covered by either Medical Assistance or CHIP. 7/2/08 – The M-Chat questionnaire is a screening tool used to assist our physicians in assessing and reporting the development of your child, specifically for the diagnosis of Autism. The physicians of Sewickley Valley Pediatric & Adolescent Medicine adhere to the recommendations of the AAP. The AAP recommends autistic developmental testing at 18month, 2 year and 2 1/2 year physical. This testing is billed as CPT Code 96110 which is defined by the American Medical Association as “Developmental testing; limited (e.g. Developmental Screening Test II, Early Language Milestone Screen), with interpretation and report.” Our charge for this service is $28.00 per screening. This developmental test may or may not be covered by your insurance plan. 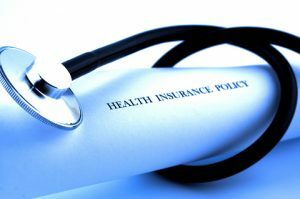 As stated in our financial policy ~ you recognize and accept responsibility for services rendered regardless of insurance coverage. This includes, but is not limited to co-insurance, co-payment, deductible, and non-covered services.